TORONTO, Dec. 16, 2011 /CNW/ – With the announcement of a 2011 Canadian Architect Award of Excellence, the proposed new Remai Art Gallery of Saskatchewan (REMAI) is off to an auspicious start. This striking design, overlooking the South Saskatchewan River, is the result of collaboration between Kuwabara Payne McKenna Blumberg Architects (KPMB) as design architects and Smith Carter Architects + Engineers as architects of record. 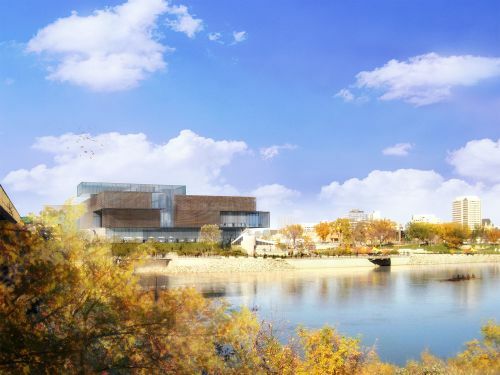 Scheduled to open in 2015, the Remai will be three times the size of the current 47-year-old Gallery it replaces. The Canadian Architect Awards of Excellence, one of two major national design award programs, has recognized significant projects – from small-scale installations to complex institutional buildings – on an annual basis since 1968. The jury for the 2011 Canadian Architect Awards comprised Walter Frand Architecture Inc., in Vancouver, Diarmuid Nash, Partner in Moriyama & Teshima Architects in Toronto, and Peter Sampson, Principal of Peter Sampson Architecture Studio in Winnipeg. The Remai was 1 of 8 Awards of Excellence selected from 163 submissions.